New Trailer, Photos and Poster for Now You See Me. Jesse Eisenberg, Woody Harrelson, Mark Ruffalo and Isla Fisher star in the illusionist heist thriller. 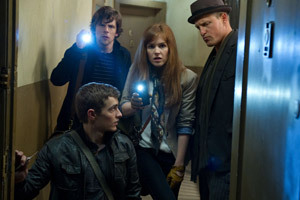 See the movie trailer, photos and movie posters for Now You See Me below. An elite FBI squad is pitted in a game of cat and mouse against “The Four Horsemen,” a super-team of the world’s greatest illusionists. “The Four Horsemen” pull off a series of daring heists against corrupt business leaders during their performances, showering the stolen profits on their audiences while staying one step ahead of the law. MPAA Rating: (PG-13) for language, some action and sexual content. 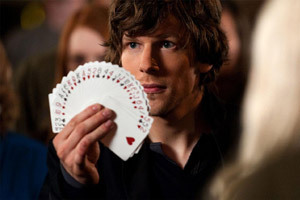 The Four Horsemen, a magic super-group led by the charismatic ATLAS (Jesse Eisenberg), perform a pair of high-tech magic shows, first astonishing audiences by robbing a bank on another continent, and then exposing a white-collar criminal and funneling his millions into the audience members’ bank accounts. FBI Special Agent DYLAN (Mark Ruffalo) is determined to make the magicians pay for their crimes—and to stop them before they pull off what promises to be an even more audacious heist. But he’s forced to partner with ALMA (Melanie Laurent), an Interpol detective about whom he is instantly suspicious. 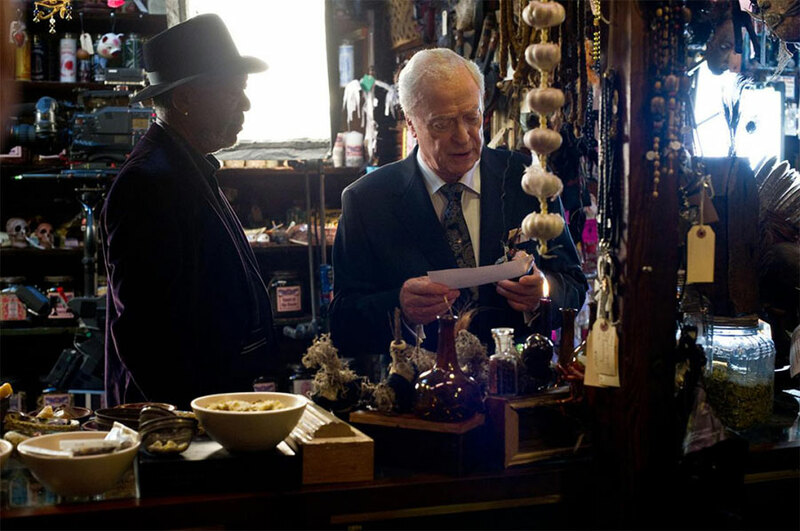 Out of desperation he turns to THADDEUS (Morgan Freeman), a famed magic debunker, who claims the bank heist was accomplished using disguises and video trickery. One thing Dylan and Alma agree on is that the Horsemen must have an outside point person, and that finding him (or her) is key to ending the magicians’ crime spree. Could it be Thaddeus? Or Alma? Or could it really be…magic? 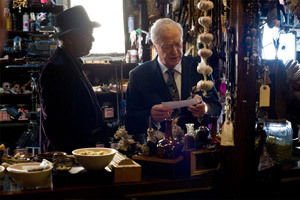 As pressure mounts and the world awaits the Horsemen’s spectacular final trick, Dylan and Alma race to find an answer. But it soon becomes painfully clear that staying one step ahead of these masters of illusion is beyond the skills of any one man—or woman.